“For maybe three years, I used to have these dreams of just dealing with my matric,” Ishmael Morabe tells me shortly after he’s sat down. The multi-talented artist who is simply known as Ishmael has just come back from a morning of visiting high schools to motivate the kids who are getting ready for exams. Ishmael has a brand new song that has taken the nation by storm and it is rooted in a kid-friendly fave: the Takalani Sesame theme song. Called Takalani (Ever Since), the song samples the theme for a trap remixed chorus about Ishmael’s musical journey from when he was a child. Yes, he motivates others but he’s also a living testimony of being a kid from Rustenburg, who came to Johannesburg to become a pop star. Even when the odds were stacked against him, he didn’t give up on music. And three decades later, he shares that he never even had the thought. This philosophy has treated Ishmael well. After all, Ishmael started singing and dancing with his friends when he was going to school. Then he came to Joburg and sang for Mdu and Spikiri’s MM Deluxe before linking up with Boom Shaka’s Junior to dance at clubs. He also went on an international tour with Prophets of da City, as a dancer, before they figured out how to integrate his voice into the music. Then he was the lead singer of Skeem before pursuing an incredible solo career which saw him magnify his ability to genre-hop. 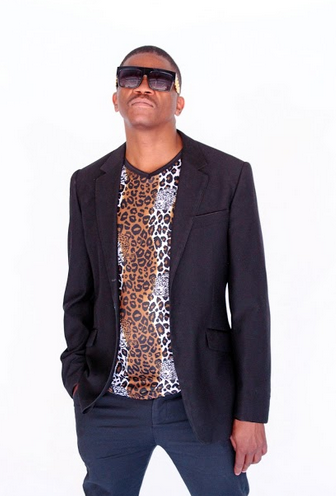 Of course, he helped usher in the motherland crunk sound as a member of Jozi and now he’s back doing his own thing.